QuickBooks is one of the world’s leading accounting software packages—and for good reason. Tons of small businesses use its power to view and manage every aspect of their invoicing, eliminating headaches and maximizing profits at the same time. Doing double duty matters to small business leaders, because they often juggle several important organizational responsibilities. 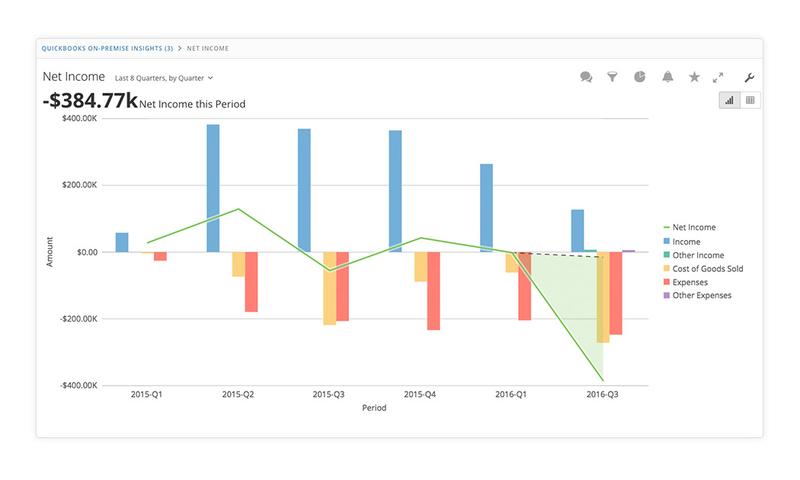 Our App of the Week, QuickBooks On-Premise Insights, makes sure they don’t drop the ball. 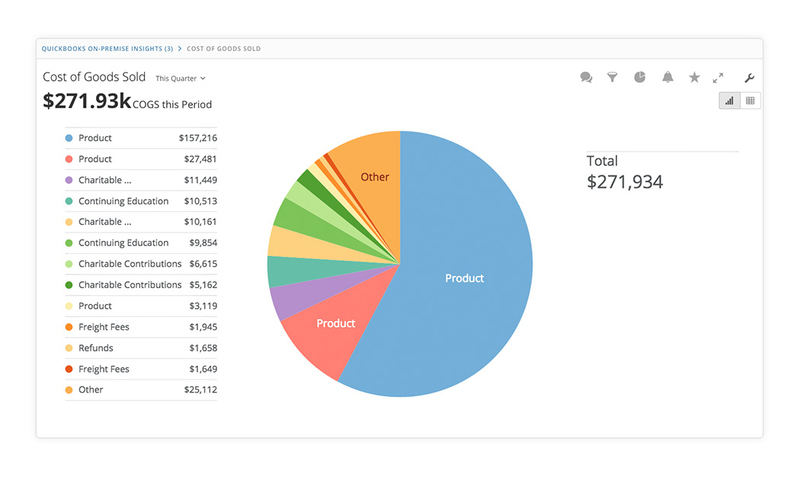 QuickBooks On-Premise Insights gives business owners and executives actionable insights into their organization’s cash flow and expenses in a single place. From enterprise to SMB, today’s business leaders use a preponderance of systems and channels to monitor and manage operations, including accounting. Too often, these leaders are too busy collecting reports from every far-flung corner of the business to step back and see the big picture. 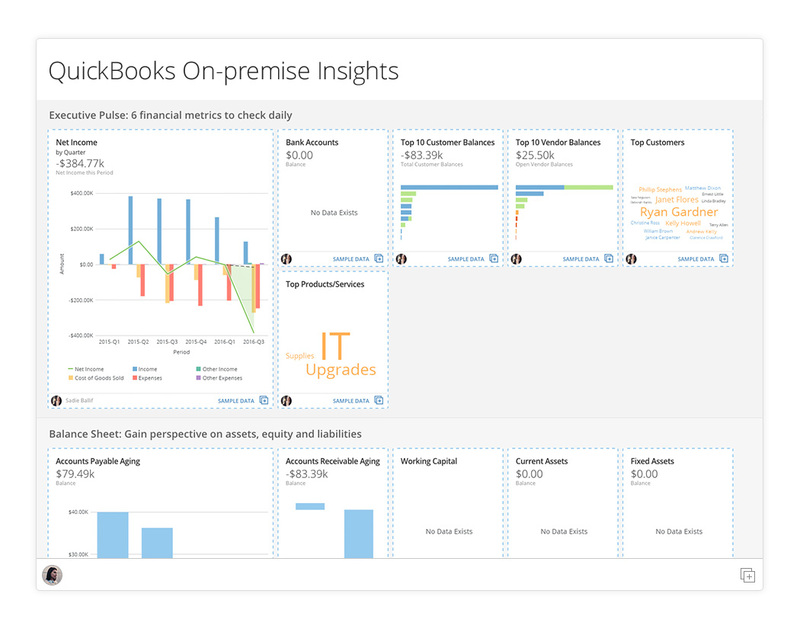 QuickBooks On-Premise Insights delivers actionable information in real-time, readily accessible reports—right within Domo. Within the app, you’ll gain an inside view of your most essential QuickBooks accounting details. It delivers comprehensive business management functionality for all your QuickBooks figures, such as cash management, balance sheet, profit and loss, accounts receivable, accounts payable, and purchasing functions. These advanced insights into profitability metrics, forecasts, and trends give you instant access to the key information needed to manage your business right now. For instance, a CEO who wants top-line insights can pull up the Executive Pulse report to view the top six metrics that impact daily financial health. The app displays net income, company bank accounts, top-10 customer balances, top-10 vendor balances, top customers, and top products or services. 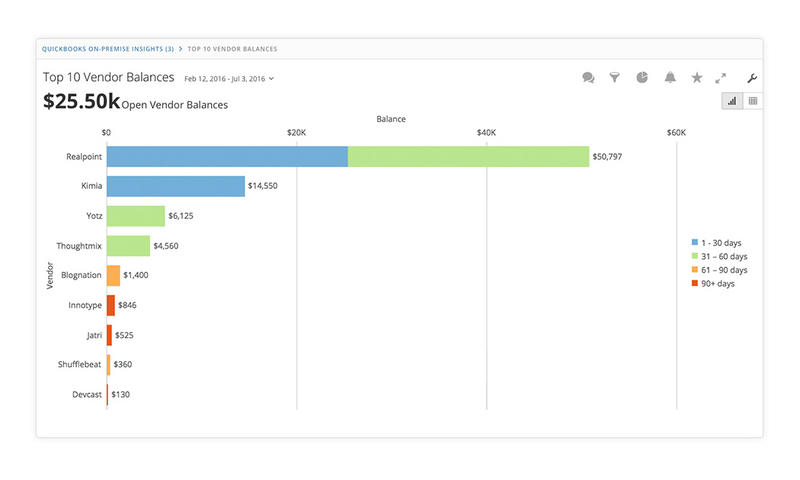 To plan for the future, leaders can use the Balance Sheet report to see accounts payable and receivable aging, working capital, current and fixed assets, and long-term liabilities in real time. When it’s time to take a hard look at financials, the Profit and Loss report shows gross profit, income, cost of goods sold, EBITDA, operating income, and expenses. The Ratios report then helps forward-thinking executives plan for the future by displaying gross profit margin, return on sales, current ratio, and debt ratio. But the best part? You’re able to answer key questions about business profitability, financial forecasts, account management, and customer health and uncover strategic opportunities quickly enough to shift strategies and move the business forward. That kind of actionable advantage helps small businesses punch above their weight. Ready to learn more about what Domo Apps can do for your business? If you’re already a Domo customer, you can browse our ever-growing library of apps—or start building your own app today.